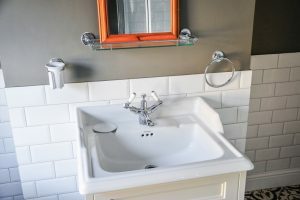 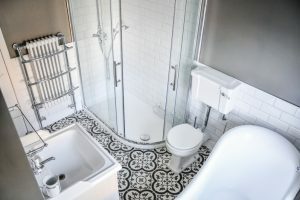 Clients brief: Move the bathroom from downstairs to first floor, and create a full service bathroom from an empty room. Design/plan: The client wanted to create a family friendly bathroom, in a traditional style to compliment the period of the property. 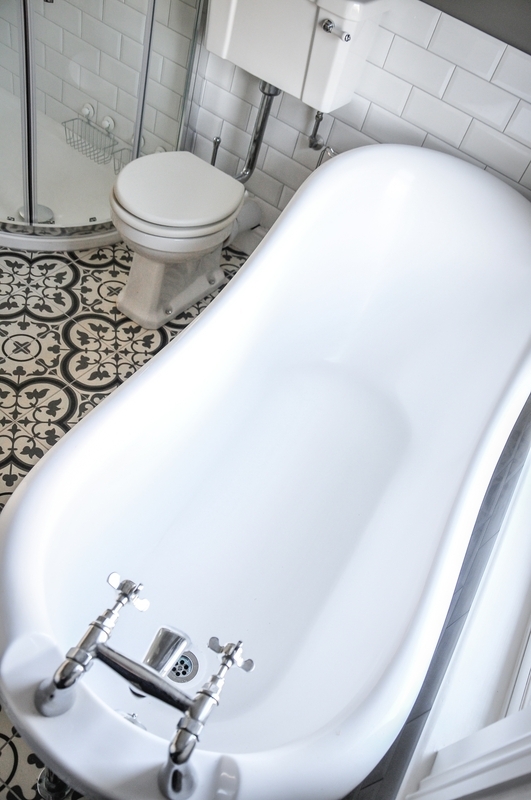 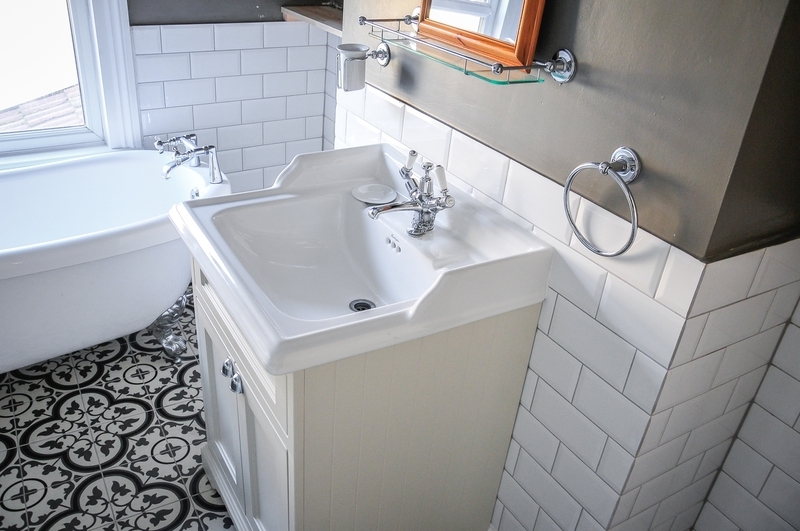 The client had an existing free-standing claw foot bath which they wanted to reuse. 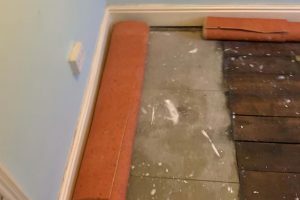 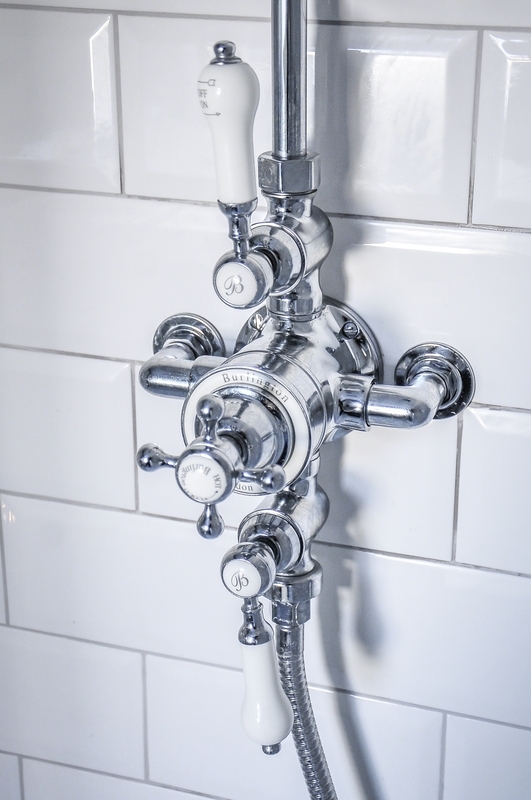 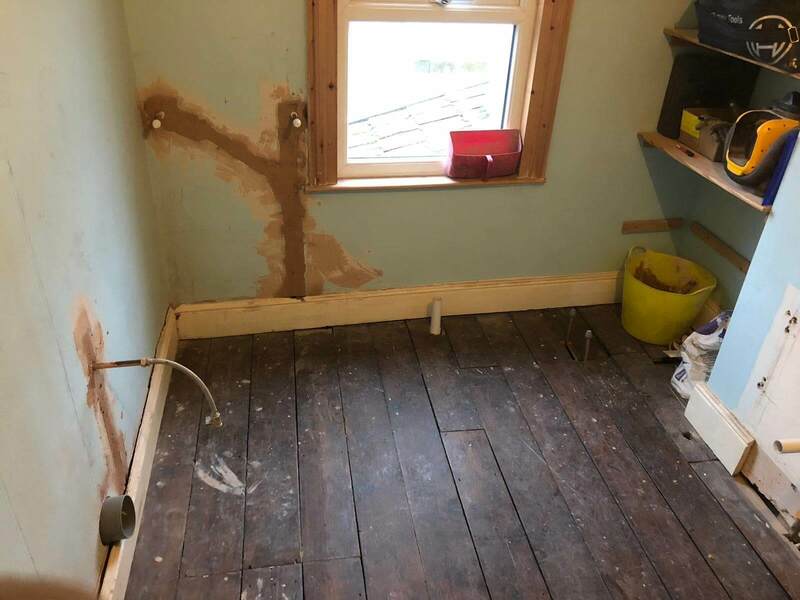 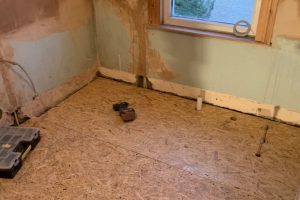 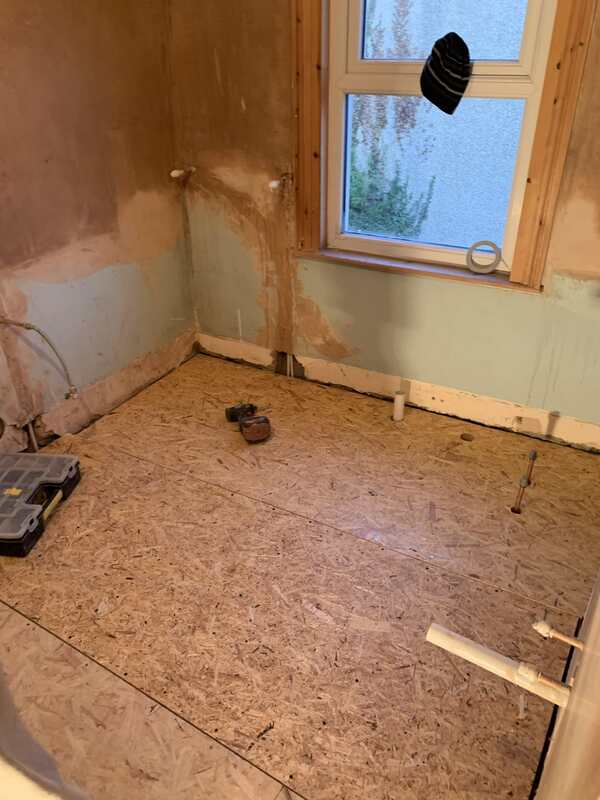 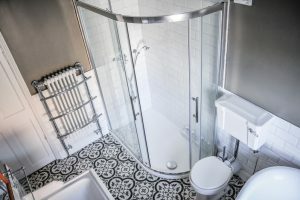 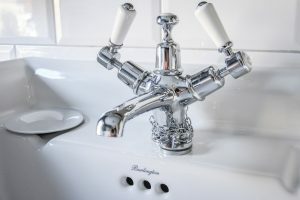 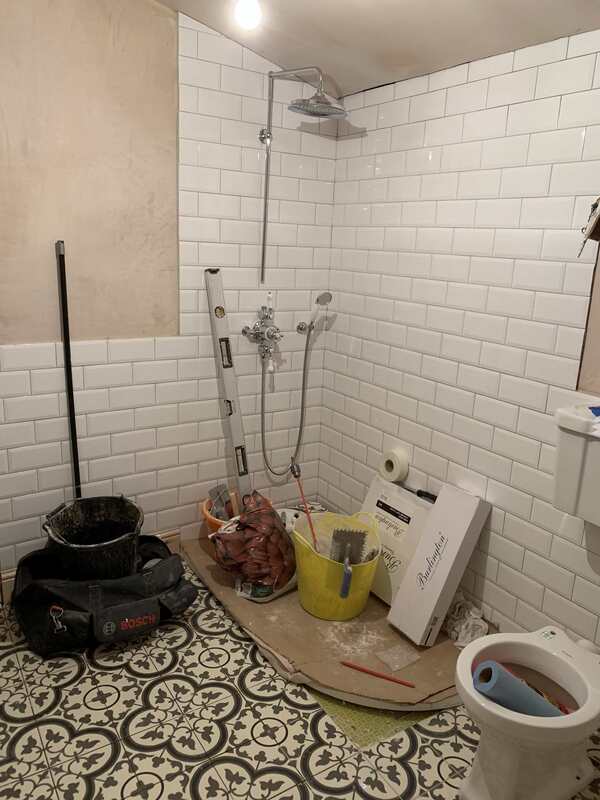 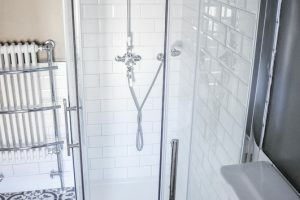 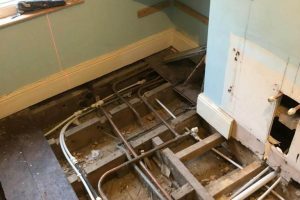 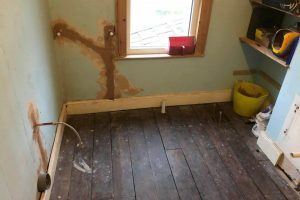 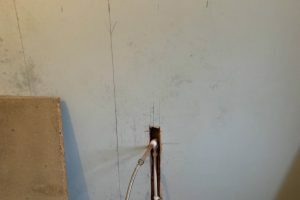 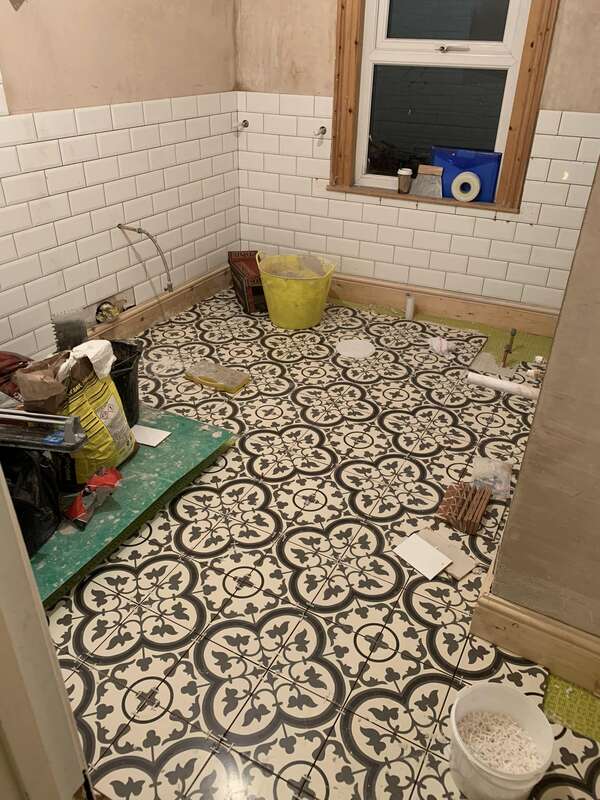 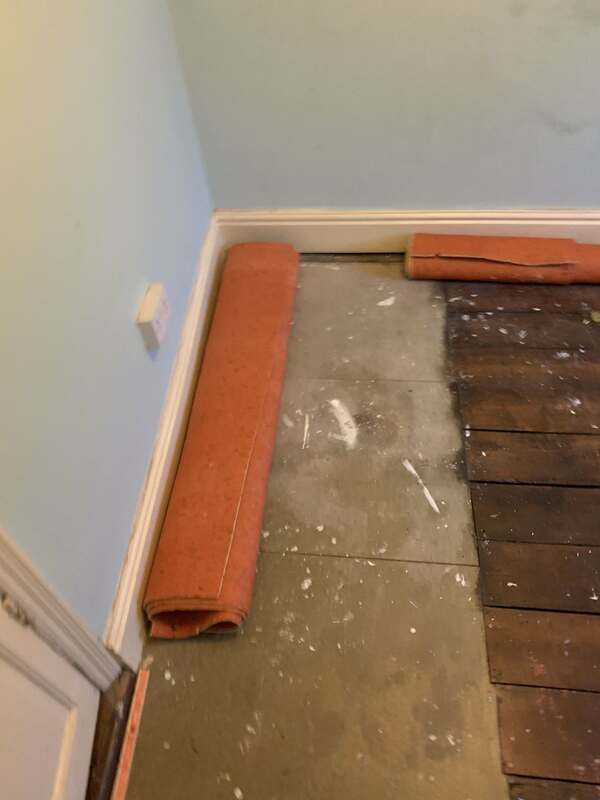 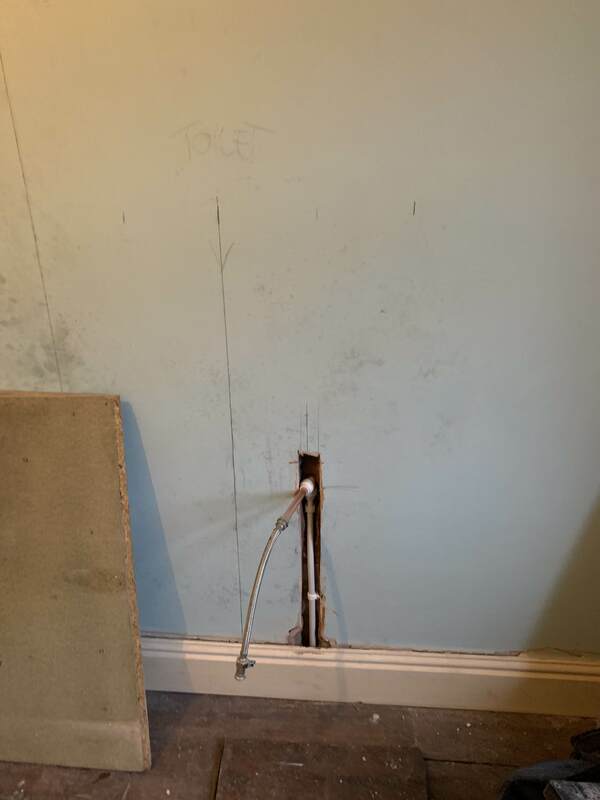 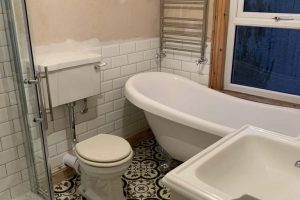 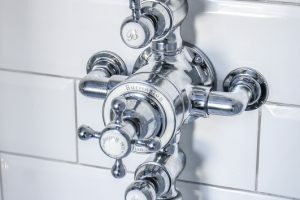 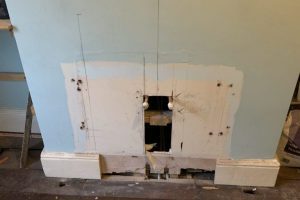 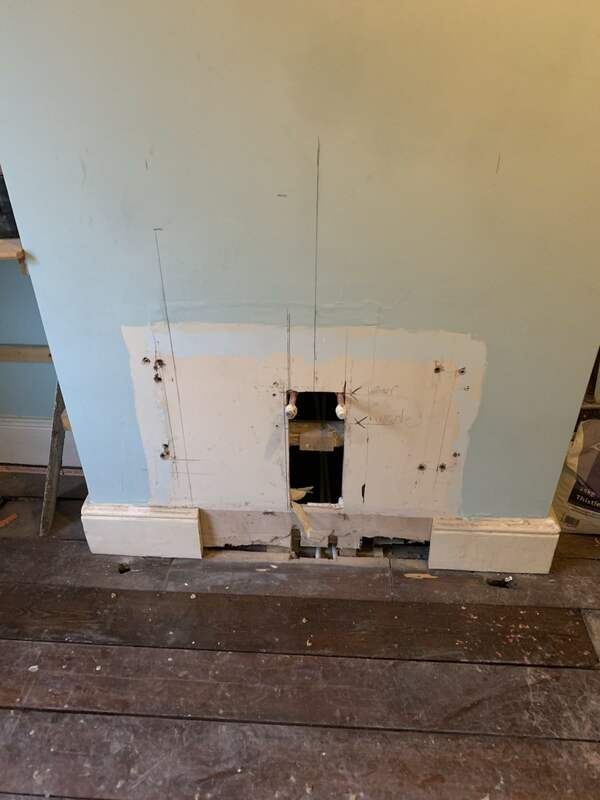 Once the room had been cleared, exposed and surveyed, with the floor lifted it became apparent that the room had been previously used as a bathroom, so hot, cold and soil pipe connections could be adapted and reused. 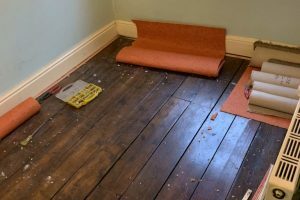 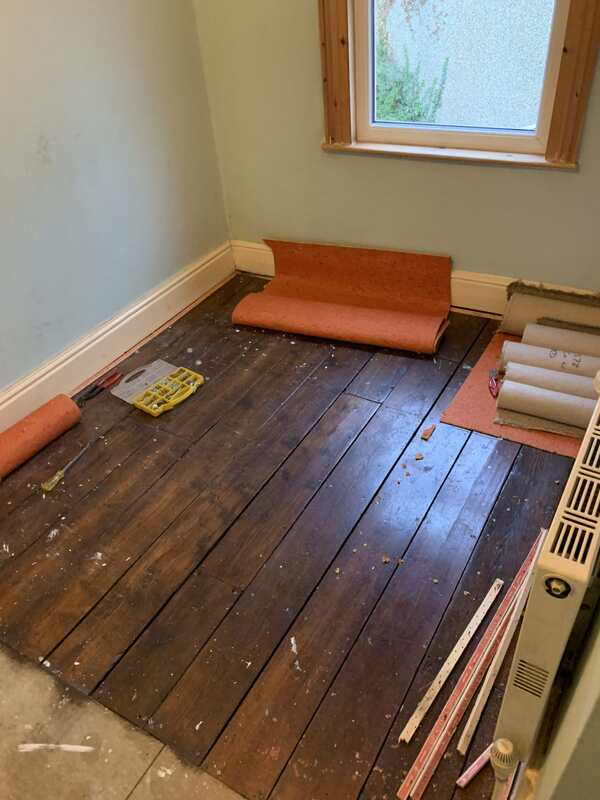 Floor – the existing floor had a notable gradient across the room, so this was levelled using graded batons and OSB board to create a flat, level floor. 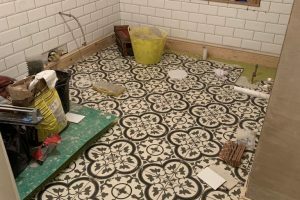 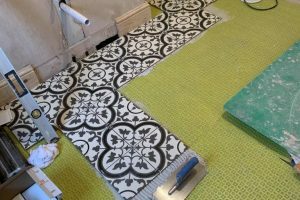 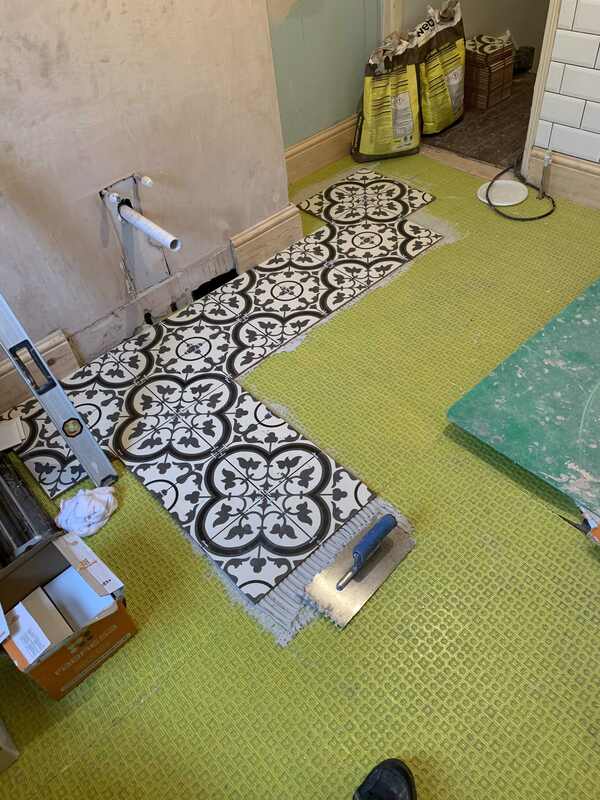 Durabase crack suppressant matting was fitted to provide a stable base for the floor tiling. 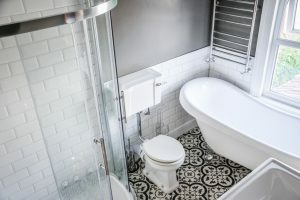 All sanitaryware was from Burlington Bathrooms except the bath which was re-used. 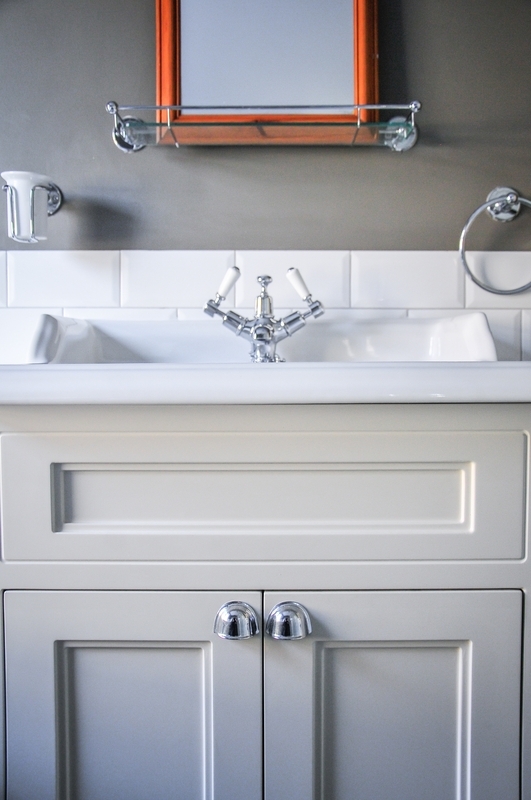 Basin – Burllington Classic, resting in a 2 door vanity unit, finished in Sand. 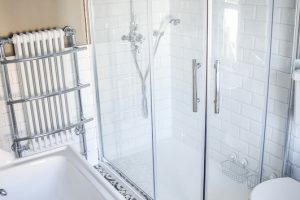 Shower enclosure – Eastbrook Volente offset quadrant shower enclosure with two sliding doors with chrome door handles. 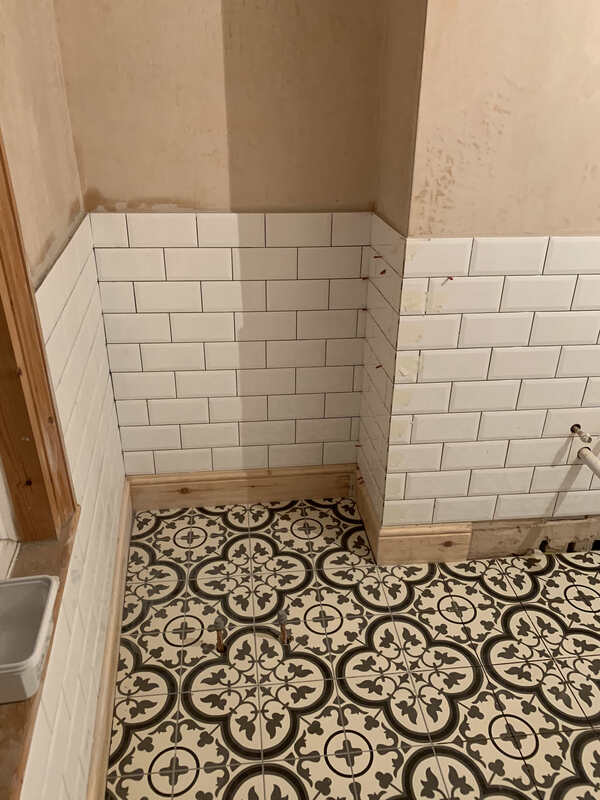 Set in a offset quadrant low-level tray. 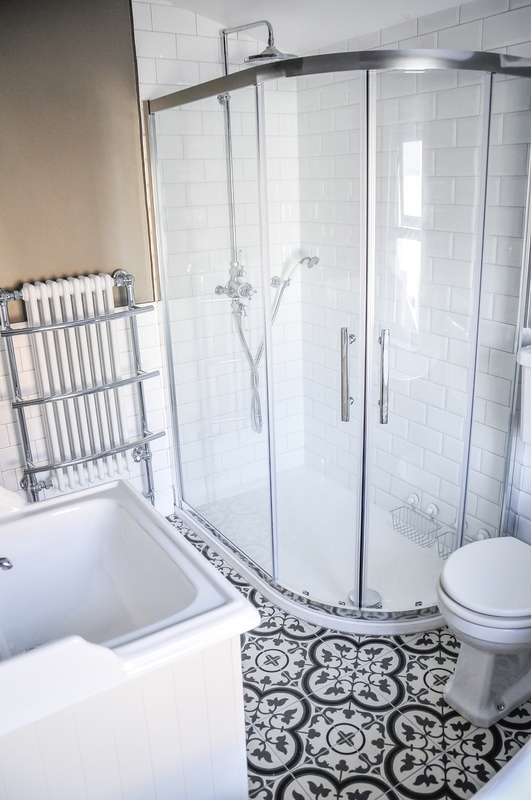 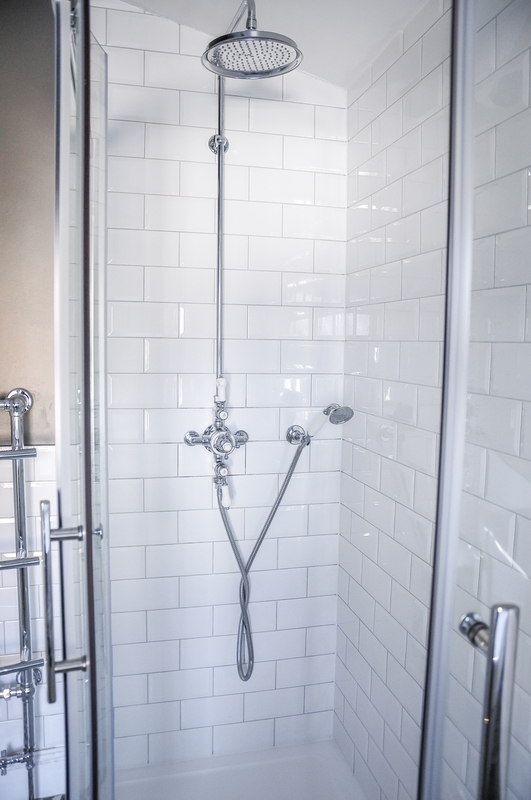 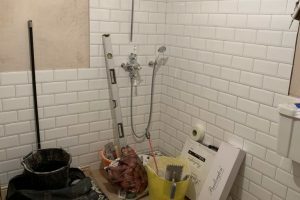 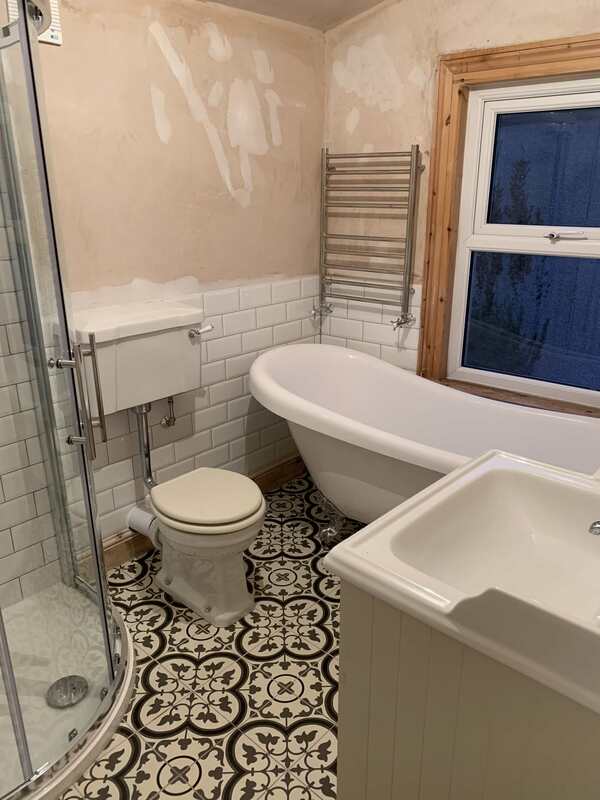 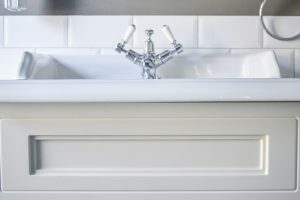 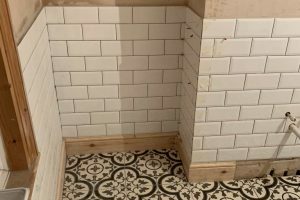 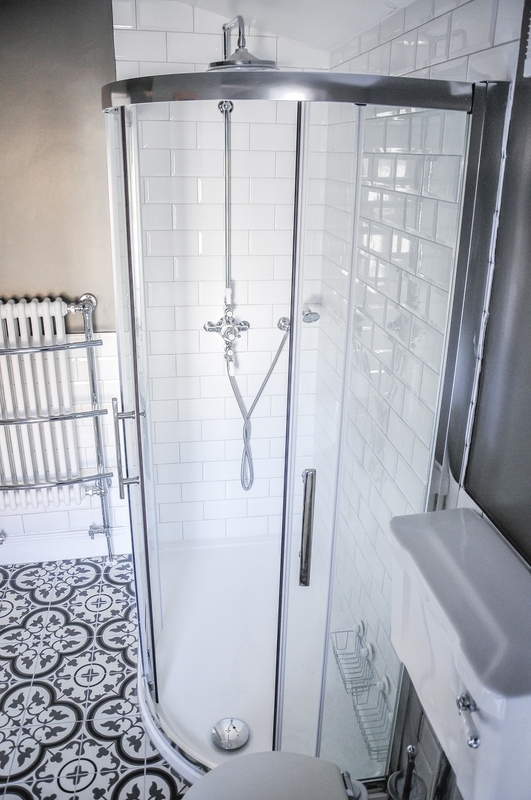 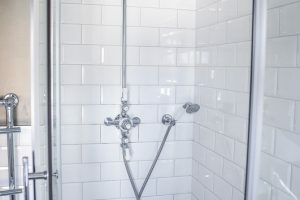 Wall tiles – were also white gloss, bevelled Metro tiles fixed in the traditional brick pattern to 1.05m high, because at the lowest point the ceiling was 2.4m so to ensure the room looked balanced the tiles needed to be fitted to below the half way point. 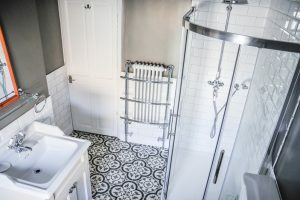 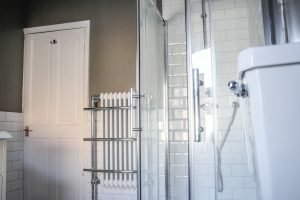 Radiator – traditional laddered chrome towel rail radiator, positioned over the bath for easy access to warm towels, plumbed into central heating system. 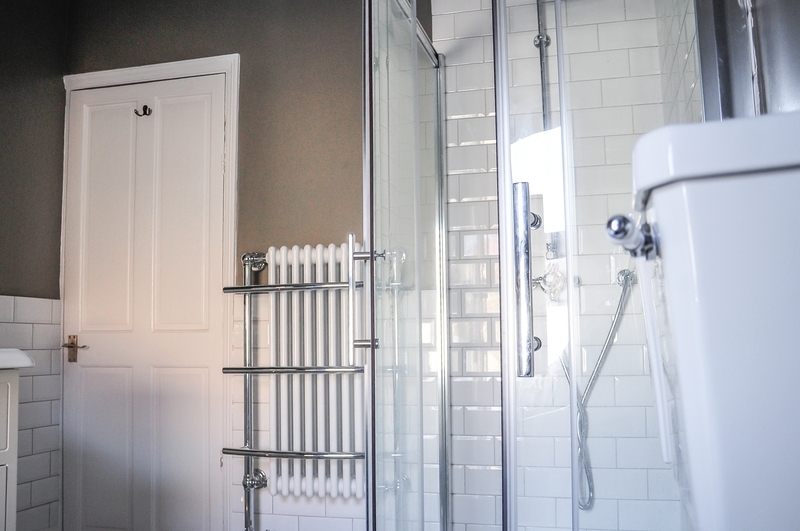 Plus, a Butler and Rose Golden Eye traditional bathroom radiator, plumbed into central heating system. Lighting – IP65 flush ceiling light, centrally located in the room. 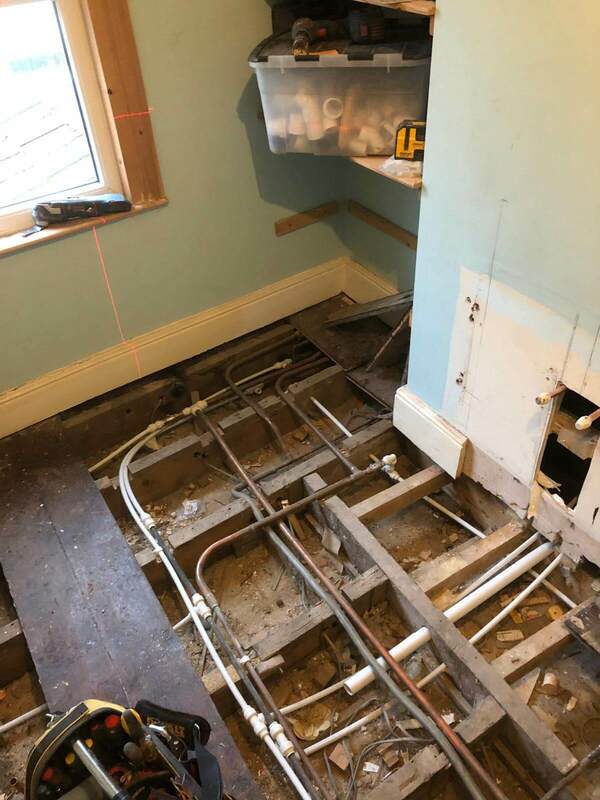 Radiator, toilet and bath pipework in position, bonded in place.